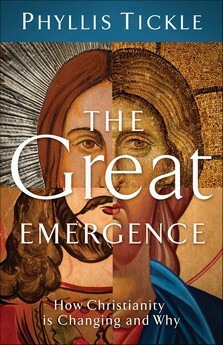 Phyllis Tickles new book, The Great Emergence, certainly fills a void in the emergent literature of this decade. If you love history, she discusses the trends that have led to the many church transformative events that seem to arise about every half millennium. The shifts in Christianity include the times of Gregory the Great, the Great Schism, and the Great Reformation. If you are just interested in becoming more informed about the trends that have brought our own generation into this Great Emergence, she carefully seeks to define it, describing the many factors that have played out to bring us where we now are, and then suggests where it may very well be leading us. I love her writing style. She presents a depth of understanding in an engaging manner. Her writing is not cluttered with filler chatter. Thus, if you underline as you read, you’ll be painting nearly every page with brilliant highlighter colors. If you are curious, or even frustrated, by the changes that are happening in Christianity you will be well advised to read this book. Buckle your seat belts because what Phyllis Tickle has written is like the conductors last call to board the train. God is at work in his church. We can, as in many ages including our own, fight against what is emerging – but we will find ourselves, or so it seems, fighting against God himself. The changes are good. There are useful checks and balances at work already. Yet, God is retro-fitting his church to meet the needs of a new age. You may read the first couple of chapters of reJesus at the above site. There are a myriad of things in life that leave us feeling abandoned by God. 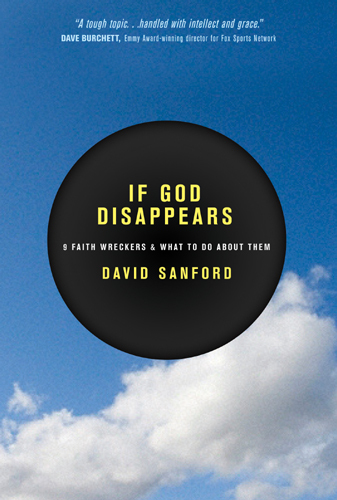 David Sanford, in a down-to-earth, easy to read style, discusses nine common faith wreckers. It is true, there have been numerous times in my life when I’ve wondered if God finally got fed up not only with me, but this whole planet and just took a hike. Worse, at times God seems more than merely absent. On occasion I’ve wondered if he was ever really present. David doesn’t plow new ground in this book. There isn’t anything said that hasn’t been written about many times before, and sometimes even more eloquently. In fact, I often wished he had been more explicit in the things he was saying. While he tells wonderfully moving stories he doesn’t always move deep enough into the points he is trying to make – maybe intentionally, though, to prompt the reader to fill in the blanks with his/her own experience. Paradoxically, it was this lack of clarity in each chapter that forced me to think more about what was being said, rather than to have it all spoon fed to me. Wrestling through David’s thoughts I could identify points in my life where each of the nine faith wreckers had blinded me to the presence of God. Some times the evil I’ve seen has made me question the omnipotence Lover of our Souls. At other times I’ve allowed my cultural values to instigate a reckless, individualistic approach to life. Like most people, I’ve interpreted God’s will in my own favor – preferring my own notions to his. There have been a few incidents where I justified my anger without any desire to consider grace. Some times I’ve just taken a sabbatical from God because he didn’t do as I wanted him to do. I have also spent inordinate amounts of time ‘safely’ learning about God without wanting to ‘know’ him. There have been circumstances where I have wondered, ‘why me’, and lived for days in self-pity without being willing to trust that God was always at work on my behalf. I could immediately identify with granting myself exceptional permissions to live as I pleased. Finally, I can’t even begin to enumerate the number of times I’ve been slammed by the ‘church’ and tempted just to call it quits. The author not only helps the reader to honestly identify pitfalls to faith, he also makes gentle suggestions that help us to escape the inclinations to abandon God. Yes, God never disappears. We simply determine to pursue a course in life where we cease to acknowledge his presence. It would be worthwhile for all believers to take this inventory of faith and own up to the truth so that we don’t slide entirely into living as functional atheists. 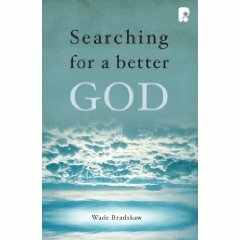 Wade Bradshaw address some very intriguing questions in this book. He parses out the differences in the ‘old story’ verses what he calls the ‘new story’. The New Story raises many legitimate questions once accepted as givens in the old story. He continues to pursue the quesitons: Is God Angry, Is God Distant, and Is God a Bully. Unfortunately, for me, this book fell short in its internal organization – beginning at the table of contents. What good are chapters that are, in part, as follows: Chapter 10 Is God Distant? Part 1, Chapter 11 Is God Distant? Part 2, etc up to Part 4? It seemed lazy. Additionally, since I was looking forward to reading this book, I was disheartened in the not so veiled ‘real’ beliefs of the author. The presented questions enticed the reader into thinking that this was going to be a genuinely scholarly consideration of the issues, yet I felt dragged back into the same old, same old, over and over again, chapter by chapter. One other issue was the writting style. For me, and I realize my preferences may not represent those of the majority of readers, I like a coherent argument on the issues. I felt that Wade never really made his thesis clear in beginning of the book, but tended to jump into illustration after illustration which never made clear where he was going. For me, therefore, this book rambled far too much on important questions, never really getting to the meat of the issue and maybe never really wanting to or being able to. Chapter 6, in other words, wasn’t the only ‘brief digression’. The whole book was full of them. Over all, I would like to see this book revised – with a good editor – because I found that the little I got from it is worthy of a much deeper, far more scholarly consideration. The authors, Colin Greene & Martin Robinson, present with intriguing analysis what we all recently witnessed playing out right before us during the American election. A little known African-American man found the open space (vista) in the American culture and began to tell a story of hope that captured the imagination of millions of voters – as well as the attention of the whole watching world. To accomplish this seemingly impossible mission Obama steadfastly led a team of competent, committed individuals who not only knew well the story he wanted told, but help him imagine how to implement it in the context of a politically divided, financially stressed, and institutionally distrustful nation. The invitation was consistent: yes we can. His message of hope was well articulated, consistent, and found resonance within the hearts of Americans. He invited us into the story of American retold for our age – regardless of our race, age, gender, or educational background. He could be seen as one who lived within the story. We could see that it was real. He couldn’t have done it or continue it alone – which he repeatedly made clear. We are in this re-told story together. Together – and only together – can the story become reality for all of us. The authors of metavista invite us to take a similar risk – believing, not in the Obama goal of fixing this nation, but in saving a world. Our mantra is more than yes we can. It is also yes we must. We must network among a competent, spiritually disciplined, visionary leaders who will value, challenge and inspire teamwork and networking of diverse Christian groups. We must discover the space(s) the Lord reveals for us to occupy – in an ever-increasingly changing world. We must understand, live within, and re-imagine the biblical story to fit this space(s) without fear. We must excite the hope, inform the mind, capture the heart, and motivate a full commitment to Christ through thorough discipleship of all who would join us. 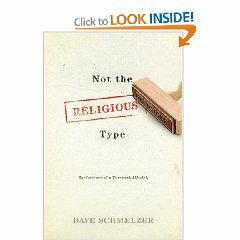 David Schmelzer’s book, Not the Religious Type (2008 Tyndale), is a quick but engaging, folksy but spiritually challenging read. Quoting from Al Capone to M. Scott Peck, Bilbo Baggins to C.S. Lewis, he seduces us back from esoteric constructs to the simplicity of the gospel. David suggests that church systems move through stages of spiritual growth and, much like individuals, can get stuck along the way – ceasing to serve out their original purpose. Where we are in our spirituality is directly proportional to our influence in the world. Rejecting religious systems is not necessarily a rejection of God, but a jettisoning of the self-protective confines of a human system for the freedom that arises from living in Christ. He makes a case for a Christianity that is relational – being totally conversant with Jesus as the Truth – rather than moral-static reiterations of truth. Relational Christianity is a movement from wherever we have become believers towards the life transformational Jesus rather than merely remaining in the ‘place’ where we last encountered Jesus as if the moment was sacred. The Person-referenced believer perceives the world out of daily conversations with God rather from our safe, ordinary world of creedal conformity. Probably the most intriguing, yet reality confronting notion that permeates this book is the manner in which he actually talks to God as a friend. God speaks back to us and what is heard in the mind is to be accepted as His response. It is this faith in the living, relational God that has been the attractive basis of Pentecostal growth as well as hopeful inspiration to the unchurched who have not – up to this point – found much of any value in Christian religion. Schmelzer’s God invites us to speak to Him from our unique culture-based stories and to listen for His voice speaking to us within the context of our culture-based stories. The voice you hear is the voice of him who is the Truth, the Way, and the Life. In concert with the written truth and within the counsel of the body, accept the wisdom that comes from above as the answer to your prayer and act as spoken to. The choice is ours. Will we continue living the non-miraculous, ordinary life or will we choose the ever awe-inspiring, mystical and supernaturally infused life of a disciple of Christ?